This weekend it was my mom's Birthday. We went out for dinner to celebrate it. We went to 'restaurant Rita' in Wenduine (Belgium). 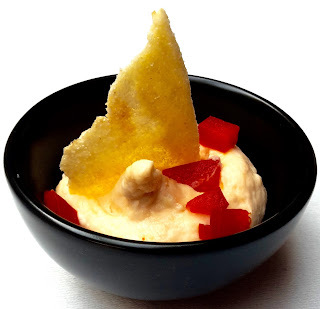 As an amuse we got salmon mousse with a crisp and bell pepper. Njom Njom! 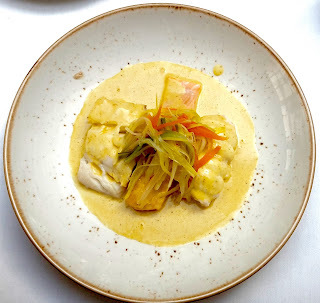 For my main dish I chose 'fish the indian way' ; three sorts of fish with curry saus, and pasta. Gotta love a good dish. PS: If you like these sorts of blogpost, give it a +1.